April Fools Day is so much fun! My kids LOVE to plan pranks FAR in advance. They expect jokes to be played on them as well. I love using food to have some fun on April 1st. 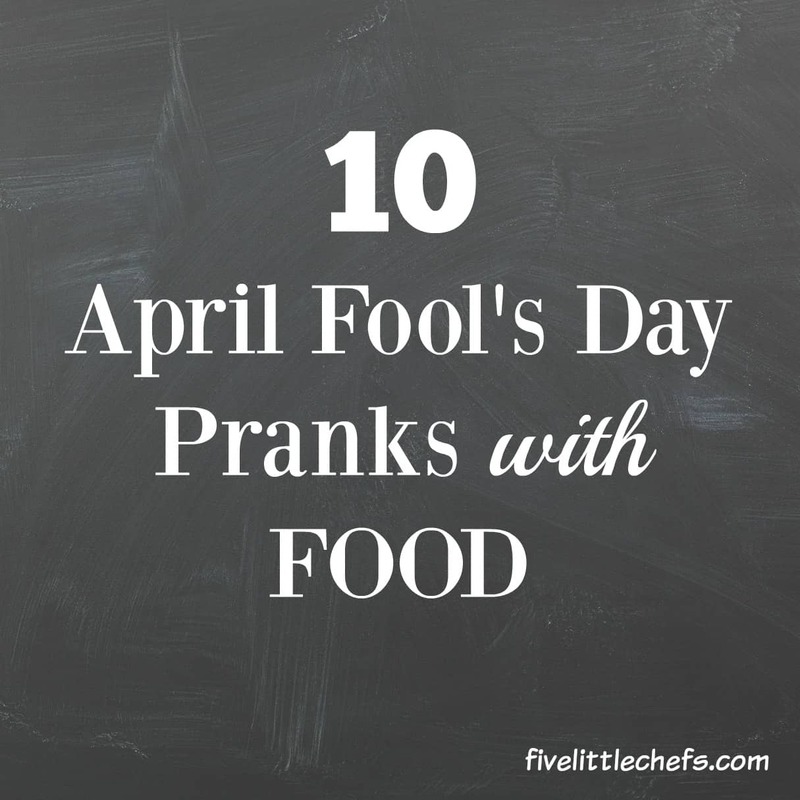 I have gathered a collection of April Fool’s Day Food pranks you can enjoy at the expense of your family. 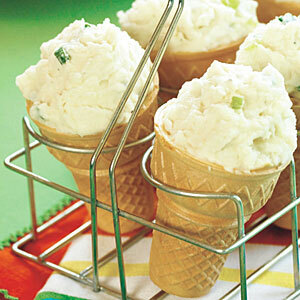 Ice cream cones with vanilla ice cream from My Recipes – These cones are actually stuffed with mashed potatoes with scallions. You might want to finely dice the scallions so they don’t give it away. 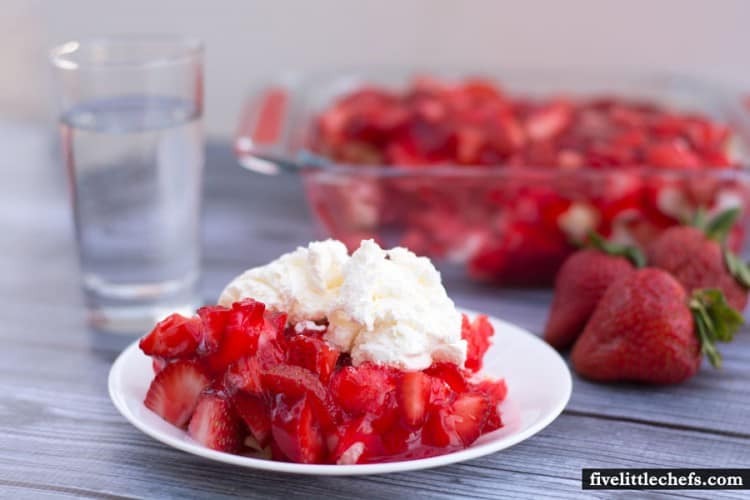 Spaghetti Gelato from Five Little Chefs – Serve spaghetti and have dessert for dinner. 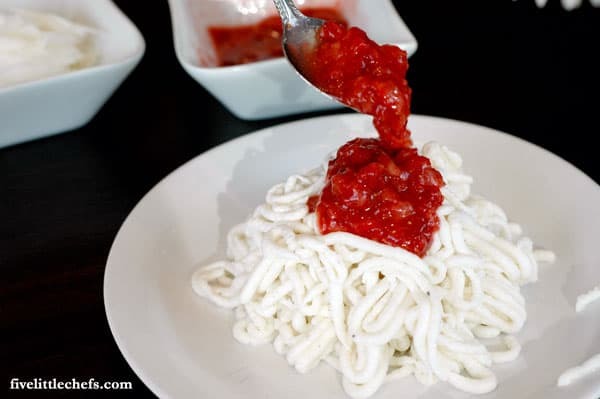 It is actually ice cream noodles with a strawberry sauce and white chocolate shavings. If you want to add some meatballs try adding these chocolate no bake cookies formed in balls. 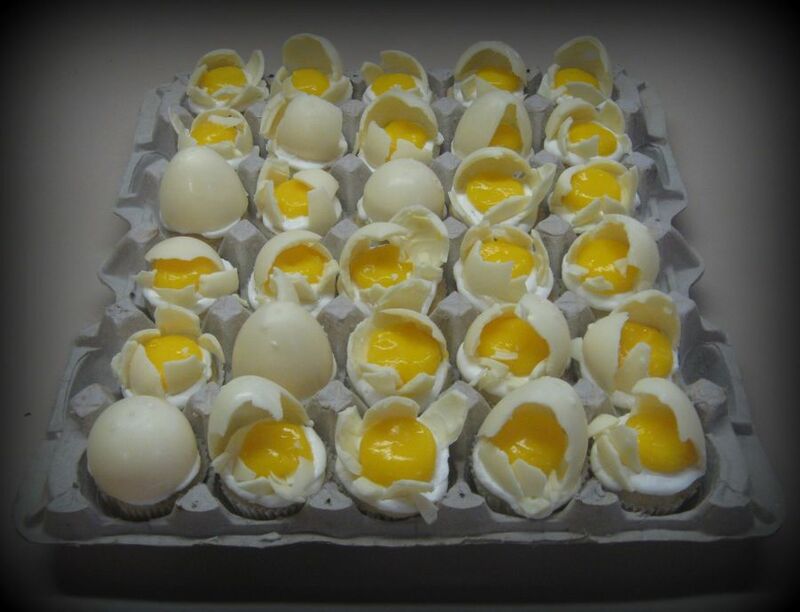 Broken Eggs from Cake Central – Use white chocolate to make the egg shells and lemon pudding as the yolks. 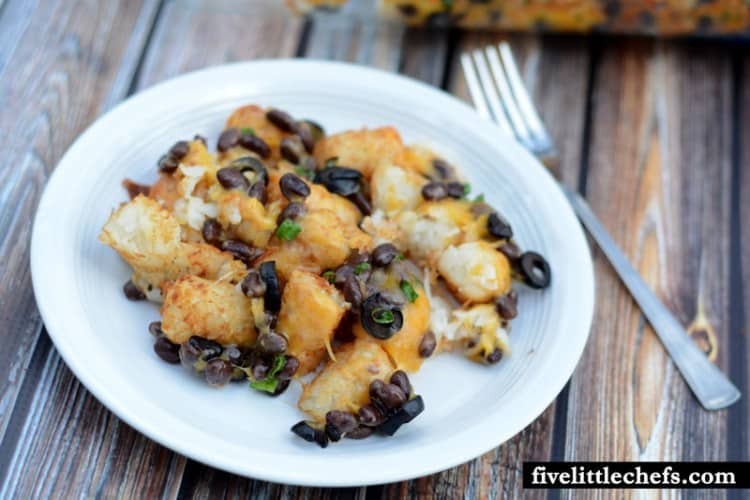 Party Punch – My kids LOVE this one! Fill a clear cup with your favorite colored Jello. Before you refrigerate it add a straw. It solidifies with the straw in place. 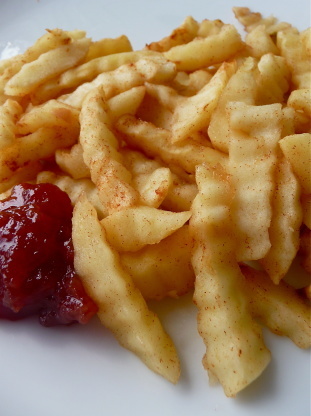 French Fries from Food.com – Cut apples using a crinkle cutter for a real authentic look. Add some strawberry preserves as ketchup. 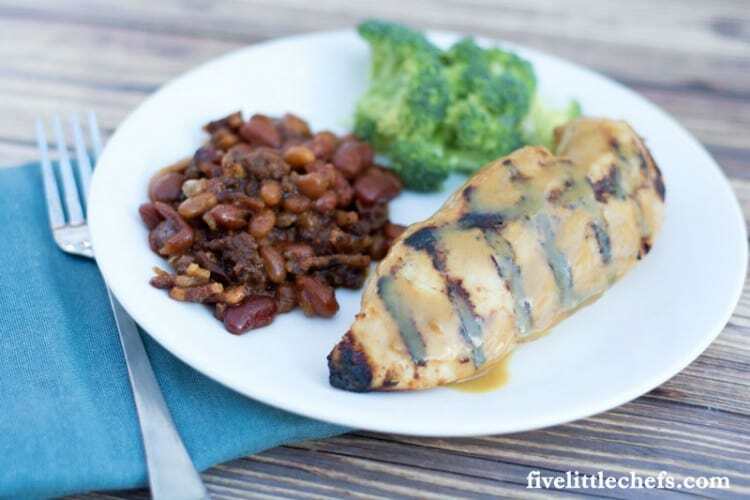 Grilled Cheese Sandwich from allrecipes.com – Cut pound cake as slices of bread. Color buttercream frosting orange. 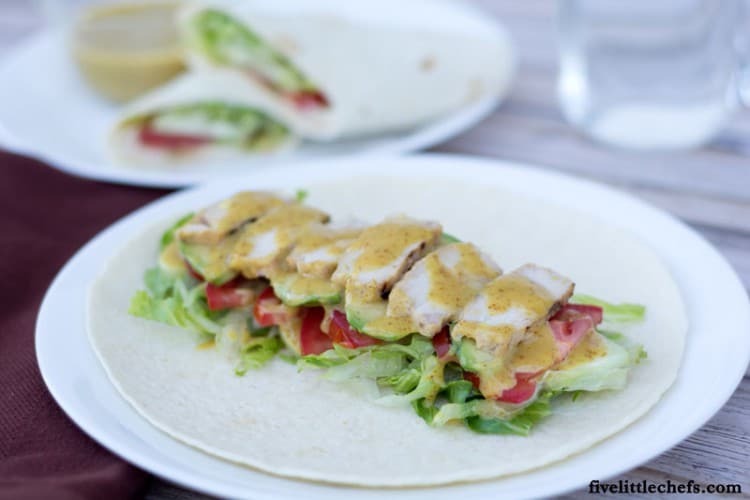 Spread it between two pieces of “bread” for lunch. 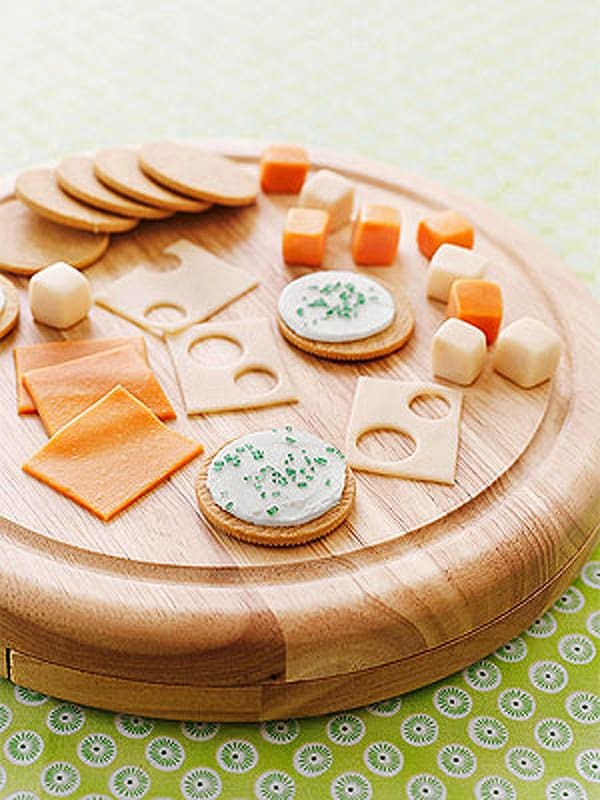 Cheese and Crackers from People.com – How about an after school snack made from starbursts. 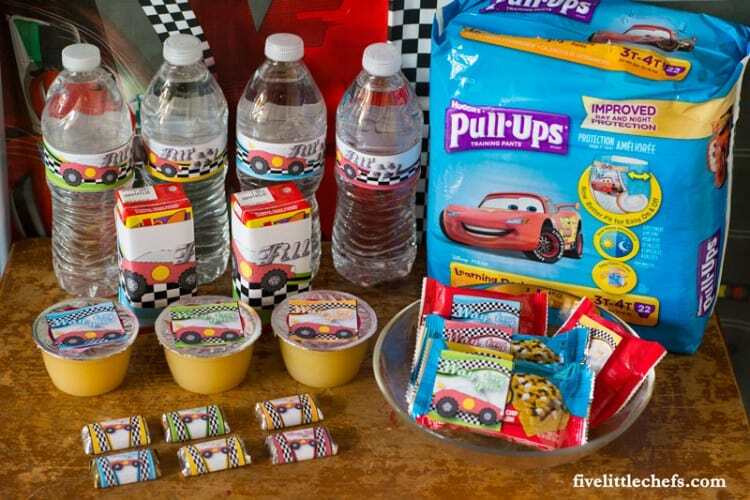 Soup – Make butterscotch pudding from the box and put in small bowls. Top with alphabet cereal. 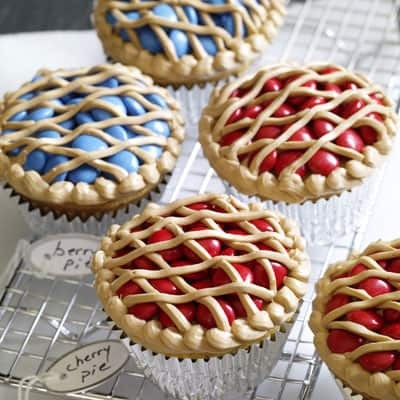 Bake Sale Pie Cupcakes from Delish – Cupcakes that actually look like mini lattice top pies with frosting and M&M’s. Fake Whoppers from ifunny.co – Cover cheese balls with melted chocolate. Once they harden place them in an empty Whopper container. 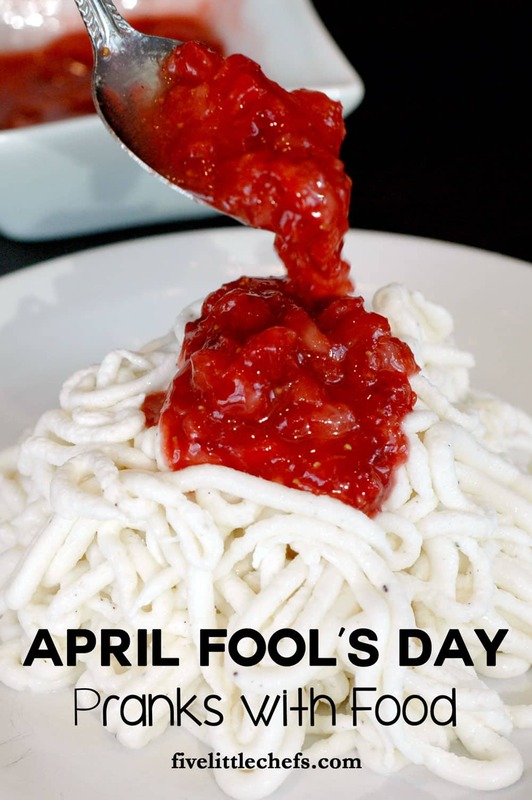 Enjoy your April Fool’s Day Food this year! No Replies to "April Fool's Day Food"